Our company, American Safety Options, Inc., is not considered a multi-service home health agency for nothing. The go-to Home Health Agency in Newtown Square Pennsylvania can be compared to a busy hive of different activities and concerns. There’s of course our home health agency. There’s also our career institute (ASO-CI), the American Child Care and Development Center (ACDC), the community homes or ASO-CH and the foundations and charity (ASO-FC). When it comes to training and developing those who wish to make a career in health care, our training arm called American Safety Options Inc. Career Institute (ASO-CI) will take care of that. That’s right. ASO functions as a healthcare and consulting career institute that will help you discover a new and exciting career in the health care industry. We aim to provide you with Opportunities for Life. As an educational healthcare training and consulting Company, ASO is dedicated in educating Americans and immigrants’ families from all walks of life with the highest quality of healthcare trainings. We make almost all aspects of our training flexible – from the training schedules to tuition fees — taking into account the individual conditions and situations of our enrollees. We have, for instance, morning and evening schedules to meet the educational needs of our students. Our tuition fees are not only flexible but affordable as well. All our caregivers are bonded and insured to ensure further protection for our clients just in case untoward incidents occur while they are on duty. All of the above just shows that American Safety Options, Inc. stops at nothing to make sure our clients are properly protected and covered while under our care. Keep in touch with us now through these contact numbers: phone (484) 432-3446 and fax (484) 840-5307. Residents and visitors of Chester and Delaware counties, you can see us at 18 Campus Blvd. Suite 100, Newtown Square, PA, 19073. For those from Montgomery and Philadelphia counties, drop by at 630 Freedom Business Center, 3rd Floor King of Prussia 19406 and at 1500 Market Street, 12th Floor East Tower Philadelphia, PA 19102. We are open from Monday through Friday from 9:30 am to 5 pm. We entertain clients on Saturdays per appointment basis. On Sundays we are closed. After office hours, though, our 24/7 on-call system is activated. 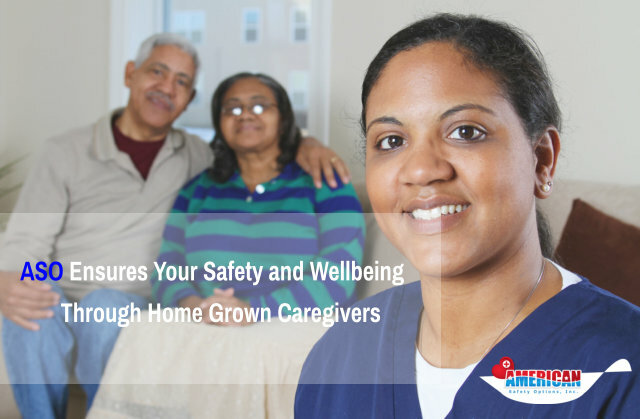 Have you had a caregiver in your home? How was the experience like? Please post your reply on the comments box below.